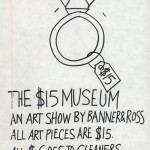 Almost 25 years ago, Bill Ross and I had our first two-person art show in Indianapolis, Indiana at 431 Gallery. We were both 24 years old. 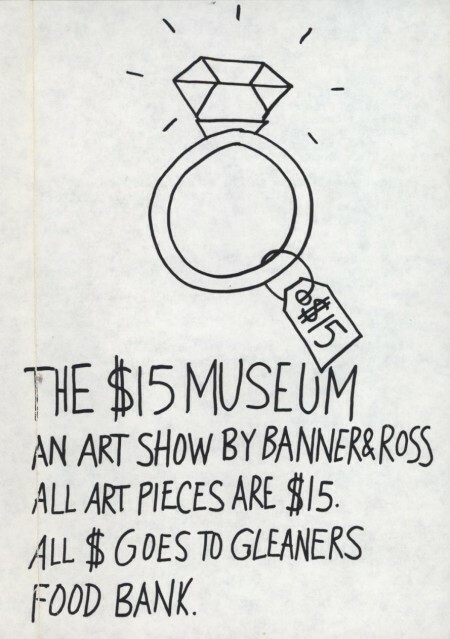 The title was “The Fifteen Dollar Museum” and was a manifesto of sorts, an accidental action plan for the rest of our lives. 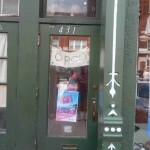 431 Gallery was a cooperative, artist-run, non-profit joint downtown, and during “The Fifteen Dollar Museum” we sold everything we made (paintings, drawings, and assembled sculptures mostly) for fifteen bucks a pop, donating all the money to a local food bank. We did this not because we were martyrs or hippies or whatever. We were just stupidly optimistic and full of energy, with an intense need to make some kind of meaning happen beyond what “art” was supposed to signify and symbolize. We truly wanted to make authentic connections between aesthetics and reality, art and life, in ways we saw would allow us to be ourselves. The opening night of “The Fifteen Dollar Museum” was blissful and unreal – the first time I think I understood where I fit in the world. The show was featured in an article in The Indianapolis Star, and lots of people came, a vast array of local art-gallery types, as well as the non-art-gallery types of people Bill and I invited, including family, co-workers, and four people with developmental disabilities who lived in a group-home where Bill was working part-time. I remember the exact moment the four of them (two women and two men dressed in sweat-pants and windbreakers, along with their support person, a college girl with a perm and braces) pulled up in the group-homes olive-green minivan outside 431’s storefront windows. They all got out and walked in, and I automatically felt relief that they were here. The relief, I guess, came from a sense of their being just as naïve and unaccustomed to art-gallery opening nights as I was. The moment when the folks from the group-home (I wish I could remember their names) started to become a part of the crowd, eating off of miniature paper-plates and mingling with all the other gallery-goers, made me feel connected to a part of myself I had no idea I could connect to: the private artist and the public person combining into someone who could figure out how to pull together all kinds of needs and wishes into a way to go forward. Flash-forward to June 27, 2014, an opening night reception for an exhibit titled, “431: Art and Impact” at the Indiana State Museum (up through September 14, 2014). Curator Mark Ruschman, and all his associates at the Museum reconstructed 431 Gallery as it was in its heyday within the museum walls, institutionalizing an anti-institution in the most beautifully institutional way. It’s a gorgeous thing to witness, the painstaking care the gallerists took in actually building to scale the outside and inside of the 431 space in all its green-painted-wood-and-plate-glass glory. 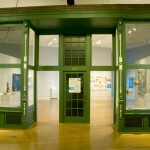 Many of the artists who participated in the co-op in its nine years of life reunited, the art they made during the era displayed in the replica of the space. In 1984, Massachusetts Avenue began its transformation from a spot few people wanted to go to the place where everyone wanted to be. 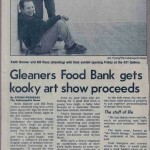 That year, 17 artists formed a collective and opened 431 Gallery in a storefront at 431 Massachusetts Avenue. 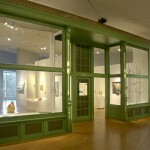 Alongside other ground-breaking galleries, 431 allowed its artists to show their sculptures, paintings and photographs – cutting-edge art that was different than anything else happening in Indianapolis at the time – in a setting that was both unique and poised for revitalization. 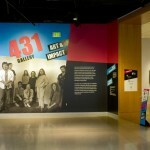 431 Gallery: Art and Impact is a glimpse back in time to the beginning of a new art scene in Indianapolis, and the influence it had on the community that supported it. Basically a ragtag group of artists pulling together a co-op to show their work became a foundation for urban-core renewal. Now Massachusetts Avenue is a hip, funky zone of restaurants, shops, bars, and galleries, a bustling haven for all kinds of activities nobody would have imagined thirty years ago. Being there, in that strange time-machine of an exhibit, it’s easily understood how vitally important non-profit, makeshift art spaces like 431 are to not only the art-world, but to everybody outside of it too. Spaces here in Cincinnati like Semantics (around for 20 years) or back in the day Publico, U-Turn, Third Party, Base, etc. provide reasons to think beyond the limits of institutions, careers, and egos, while also opening up conversations about what art can mean and do and say when it has no constraints other than the need to be produced and displayed in an authentic way, beyond commerce, trends and styles. All the artists who made 431 tick contributed to a wider conversation during the gallery’s life that put local art and artists in the mix as community-members who happen to make art, but also want to be valued as people who get things done. I was an art-school dropout, a full-time dishwasher and college student when 431 Gallery members voted Bill and me into their co-op. I was someone who felt shut out of culture because I didn’t have credentials or style enough to be allowed in, and by being accepted for who I was, the 431 experience gave me permission to investigate and make art from that schism, to come to an understanding of what I was supposed to do and be in the next 25 years. That time was one of the most magical times I’ll have. It was full of hope and weirdness, hilarity and backfired experiments and the major realization that I could make something out of myself. Bill and I are pretty settled in our existences here in Southwestern Ohio. We are social workers who help people with disabilities gets jobs and have lives. We also started a studio for artists with developmental disabilities called Visionaries and Voices, and we run a little weird non-profit gallery in town called Thunder-Sky, Inc. Bill paints (he has work in a show in England this summer), and I write stories (a book of my stories just came out). We really are okay people now. 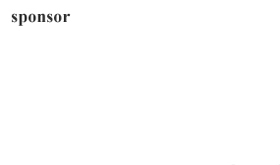 And I think our tenure at 431 made us realize we didn’t have to ask permission to do what we think we ought to do. It kind of made us braver and smarter in ways school never could. When I was walking through the 431 facsimile at the Indiana State Museum back in June, I kept seeing those people from the group-home who came to our “Fifteen Dollar Museum” gig. I kept remembering how when they showed up I knew I was in a place I needed to be. It was a moment about art pulling people together from all kinds of backgrounds and creeds and classes, and for one moment a temporary Utopia flashes into existence. And I got kind of overwhelmed because I knew now, 25 years later, Bill and I had at least carried through on a promise that 431 Gallery allowed us to make to ourselves: we have been able to use whatever talents and ambitions we have to make the world a little more kind, odd, and briefly idyllic. Thanks to everybody who hung out with us at 431 for those couple years. It was meaningful. It truly was. Thanks backattcha. It was a special place/time- I told Mark that 431 had, at the same time, members with the following partial list of characteristics: Black Muslim photographer, Israeli-American enamelist, straight white male biker painter, both genders of gay multimedia-ists, ceramicists, sculptors,filmmakers,etc.- and we all shared a feeling of being out of place in Indianapolis.